Friends of Vade Mecum > call to action > Staff Photos Needed! The Friends of The Sauratown Mountains is working on turning one of the computer labs at Vade Mecum into a temporary history room. 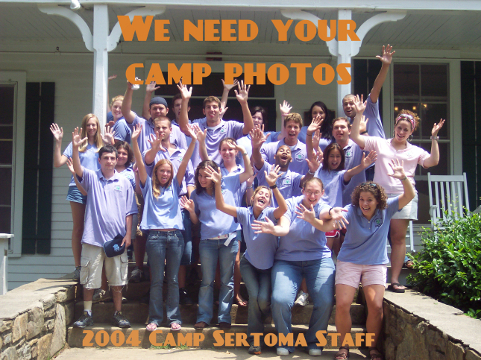 I would LOVE to see framed 8×10 staff photos along one wall or around the top of the room, similar to 4-H Camp Betsy Jeff Penn’s staff photos in their cafeteria. I need your help. Email Janis Henderson-Hunsucker high resolution staff photos from Camp Sertoma, Deaf Camp, Camp Challenge and Camp Cheshire (Episcopal camp years) for display in the history room. Also, tell me who is in the photos. Contact me via the Friends of Vade Mecum facebook page. We are part of the legacy of the property and I would like to share it with others.